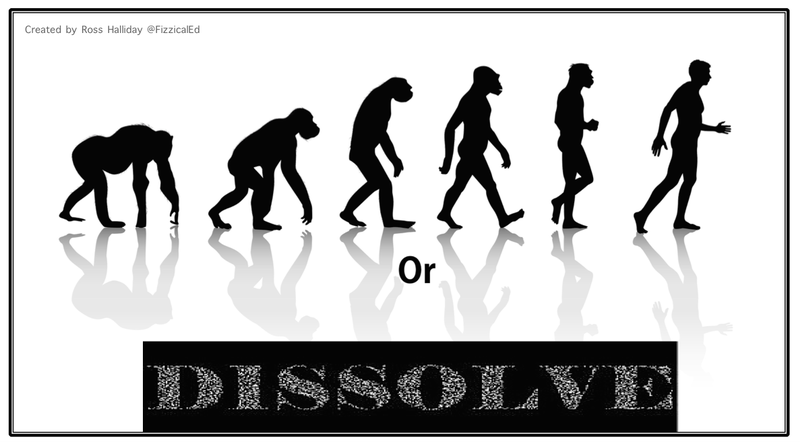 ← If we know what works, then why aren’t we doing it? In response to your question about ‘Eruptive Action’. I am starting to see more and more the power of social media and how it can support learning. The concept of students collaborating and learning from each other is not new but with the power of social media and the vast technology available today their is so much scope for students and learning communities to collaborate with others from all over the globe. I still remember only 8 years ago using “pen pals” to communicate with students from another school. My how times have changed! Recently I have been involved with a project developed and coordinated by Anthony Coe @anthonycoe3116 called the Global Schools Crossfit Challenge. In a nut shell it is a competition where schools compete against each other in the sport of Crossfit. Schools from all over Australia are involved. Each school on a rotational basis creates a challenge of the week for all students to complete and points are allocated etc. Such a program would not have been possible 10 years ago. – Teachers communicate via a closed Facebook group. – Videos are uploaded to YouTube. – Scoring and other info is published using a shared google doc. I believe the real benefit of this program is the way students are learning from each other. The students create the challenge, not the teachers and the challenge is therefore more authentic. My students are keen to complete a challenge that has been developed by other students, rather than me just saying “Hey, this is what we are doing today”. Ross, have been thinking about this all weekend and I’m finding it hard to list ‘new’ and ‘different’ ideas I use in PE. My reason for this is most of the new ideas I try in lessons are concepts or methods that are pretty commonplace in the #physed twitter community, but to the non-twitter physed community not so much. Something as simple as allowing boys to stand and ‘mingle’ at the start of a lesson(waiting for others to get changed), while others expect silence and stillness to ensure students are ‘focussed’ while they call the roll. This is something I have learnt from Andy Vasily, after reading a blog post, where he stated boys have an extra energy that needs to be released, and having them sitting still can be agonising. A few months back I was able to connect with some great PE teachers from Tasmania and New Zealand and hold a 7 min-run competition. Using a shared google sheet and an ipad, we could enter student run distances, automatically calculate class total and compare results in a table. I feel this kind of international classroom collaboration is an example of students being intrinsically motivated in a way not possible a few years back, and can turn a good PE program into one which is rich with real life learning opportunities and experiences. 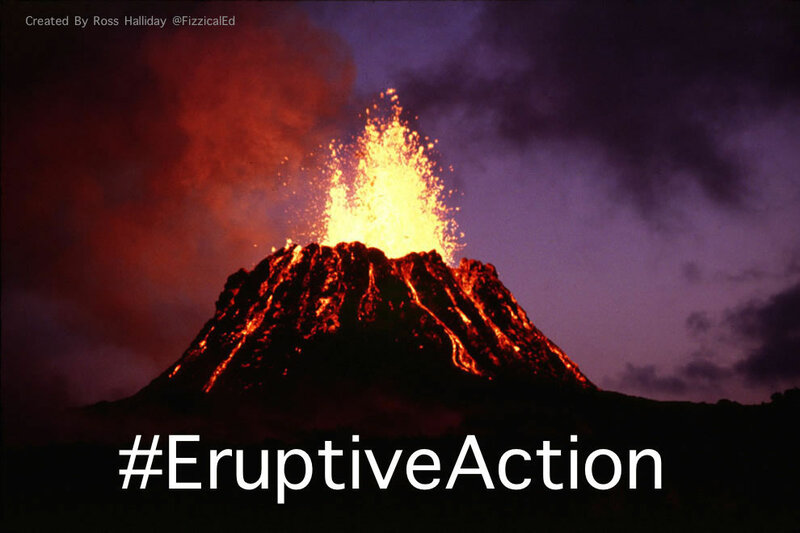 I look forward to reading more #eruptiveaction stories this coming week! You are very right for a large part and the fact that our subject PE has been sold terribly in the past by our educators (definitely so in my case!) makes me determined to changed it and get it right! In my opinion the IBO with in particular the PYP has got it figured out. We educate and prepare students for an unknown future and therefore teaching must be concept based and interdisciplinary. I fully believe and support the 5 elements of the PYP and when planning (backward) I focus on these 5 elements: knowledge, skills, understanding, attitudes and action! Whether your school is a PYP school or not, the first thing teaches should do is teach conceptually and interdisciplinary. I use ICT a lot but in the end it is a tool and not a philosophy or vision! With so many things it depends how you use, where, when or with who! ICT can support and brings the real world of our students and education closer together which, if done well supports various learning styles. 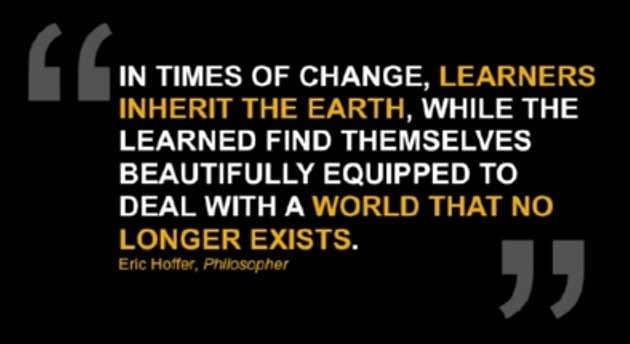 What is changing education in a good way is the maker movement, which certainly thinks in Action!